On Thursday, the Washington Post had a bombshell story accusing Alabama Republican U.S. Senate nominee Roy Moore of sexually abusing a teenage girl was he was 32. Moore for his part denies the accusations and launched an attack, through a spokesman, on the Washington Post. Here are the 5 things you need to know about this story. There are four women accusing Moore of potential sexual misconduct. Leigh Corfman is the woman who is accusing Moore of touching her inappropriately when she was 14. 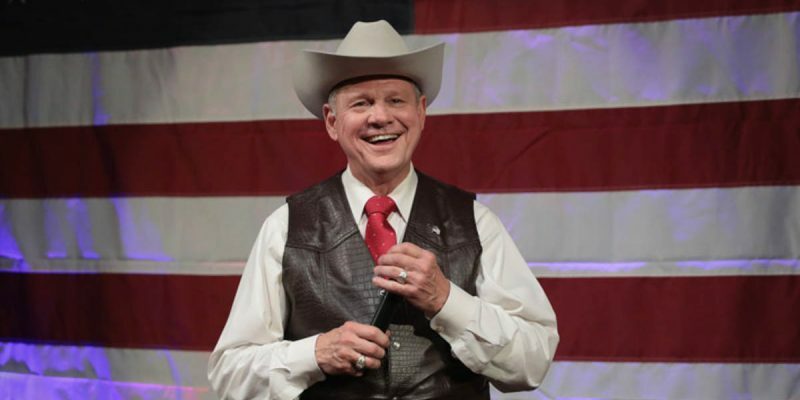 Three other women allege that when they were between the ages of 16 to 18 and Moore was in his early thirties when he perused them. However, all three women say it never went beyond kissing. The Washington Post also says none of the women donated to or worked for Moore’s opponents in the U.S. Senate race. Republican leaders want Moore out of the race if the allegations are true. Senate Majority Leader Mitch McConnel and other leading senate Republicans want Moore to quit the race if Corfman’s allegations are true. Even if Moore quit the race, it’s probably too late to take him off the ballot. Alabama law forbids the replacement of the party’s candidate on the ballot after the 76th day before the election. If Republicans want someone other than Roy Moore or Democratic nominee Doug Jones to win that seat, they only have one long-shot option. Republicans can always mount a write-in campaign for an alternative to Roy Moore. However, it would be very difficult to fundraise, publicize, and promote a candidate and campaign with a little over a month before the election. Oh, and the write-in candidates cannot be anyone who has already ran in the U.S. Senate race and lost such as U.S. Senator Luther Strange or Congressman Mo Brooks.